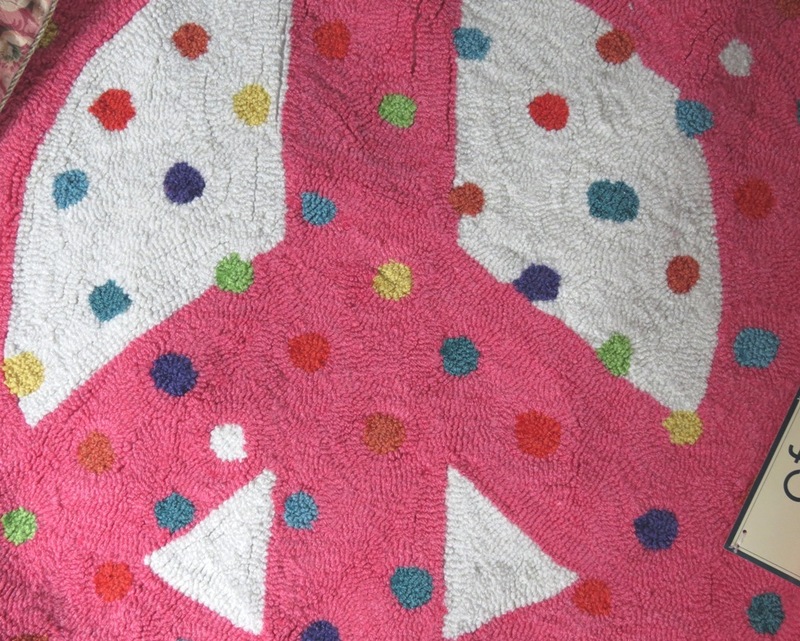 Let your teen groove-up her room with our Peace Sign area Rug. 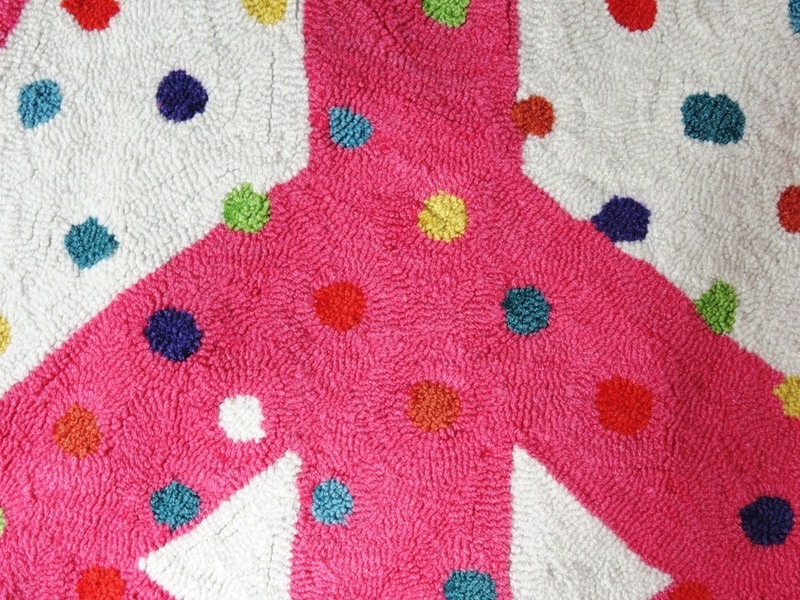 Funky hot pink, with vibrant polka dots in aqua, lime green, red, orange, purple, teal, white and yellow. 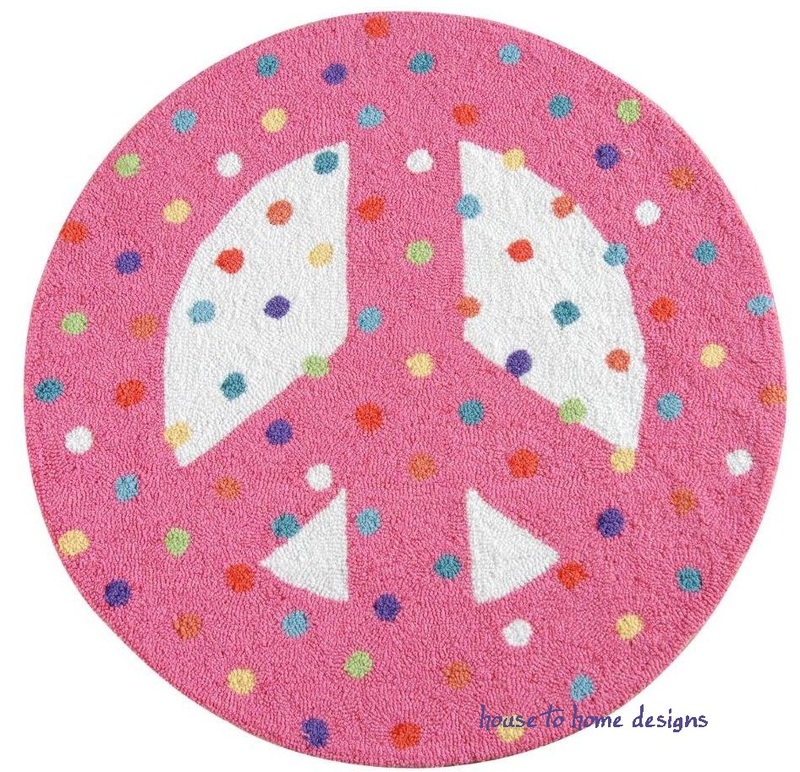 This peace sign rug is a perfect 3-foot circle and tufted from looped acrylic/poly that is completely washable! 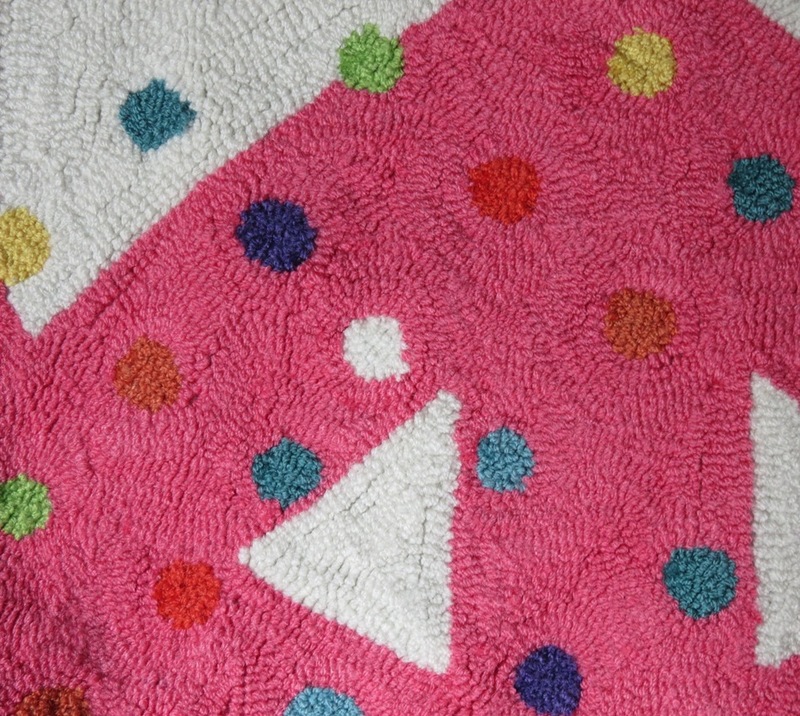 Front: 50% Acrylic / 50% Poly - super soft!